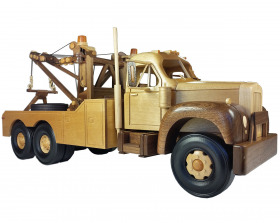 Complete, at-a-glance materials list to teach you how to make your own wooden model 50's tow truck. 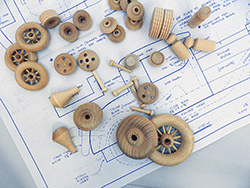 Purchase some beautifully crafted parts to help make your wooden train model a success! A) Add to Cart or Click on a Product Name to See More Details or Product Info. 3) Prices are for the quantity noted with each item - Buy more to save more. Eg. 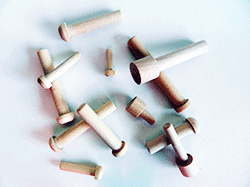 AP-090 is an axle peg we sell in bags of 25 pegs for $2.50. Add to Cart Quantity of 1 will get you 25 pieces of axle pegs for $2.50. To see discounts per item, click the links below. 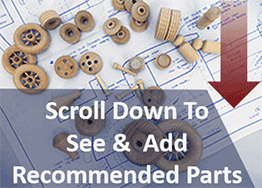 Note: many of the quantities we supply are for great wholesale value - you can use these parts toward many Toys and Joys Plans or your own designs! 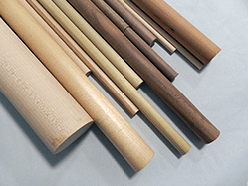 Items called for by the woodworking pattern. 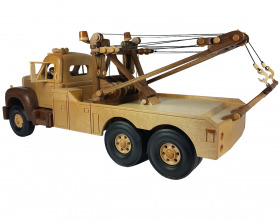 We Stock Dozens of styles and sizes of wooden toy wheels, axle pegs, little people and other parts to make your woodworking projects a success. 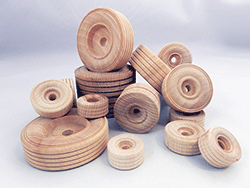 Check out the whole wooden wheel and toy parts selection.